Is your house worth less than you owe? Your lender may consider reducing your balance owed to the fair market value of your property. In many cases your lenders best deal to you may only be available through aggressive representation. I actively seek State and Federal Law Violations that may make the mortgage unenforceable by your lender or expose them to financial or regulatory penalties in order to persuade them to treat you with the respect you deserve. My firm offers flat fee defenses in most cases, so you know exactly what defending your home will cost you on a monthly basis. Call me now at 561-305-5214. Are you behind on your payments or thinking about foreclosure? Your lender may consider giving you more time to pay, or lowering your interest rate on your existing mortgage. In many cases your lenders best deal to you may only be available through aggressive representation. I actively seek State and Federal Law Violations that may make the mortgage unenforceable by your lender or expose them to financial or regulatory penalties in order to persuade them to treat you with the respect you deserve. A Bankruptcy does not delay your foreclosure that long anymore. 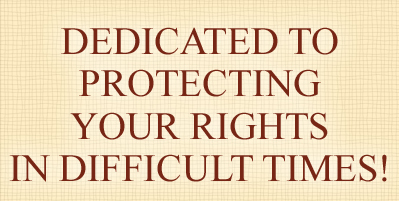 If you are having difficulty paying, you may get better results with an aggressive defense. A defended foreclosure generally takes significantly longer to remove you from your home. During the defense process I will be able to work with your lender to consider other options that may be more beneficial to you such as loan modification, loan reinstatement, short sale, or a deed in lieu of foreclosure. You can also consider Bankruptcy as a last resort if after all the litigation and negotiation you still can’t reach an agreement with the bank. A Bankruptcy and the associated Automatic Stay of all Law Suits can be served the day before the sale. My firm offers flat fee defenses in most cases, so you know exactly what defending your home will cost you on a monthly basis. Call me now at 561-305-5214. Are you considering a Mortgage modification? 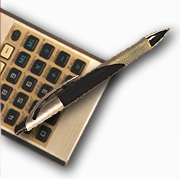 Lenders are frequently giving modifications to borrows in need. You may be the next person helped. Unfortunately, as the new fad business there are a lot of people selling modifications either illegally or without the experience to get them done. My firm offers legal representation to modify your loan, and in many cases for less expense then a modification company. With over 18 years practicing in Real Estate Law, a Masters of Law Degree in Real Property and Land Development, and over a decade representing a Florida Licensed Mortgage Lender, where do you think the best investment of your money is? In addition, if we are unsuccessful in initially modifying your loan and wind up in foreclosure we will credit your modification fee that was paid to us towards the cost of a foreclosure defense. If you are underwater on your house a Short Sale is only one of several options that you should consider. When you have your Realtor negotiate the short sale you may never hear about options like a deed in lieu of foreclosure, which don’t pay them a commission, but get you off the hook financially. Your Real Estate Sales Person only gets a commission if your house sells. In many cases a short sale may not be the best option for you. My Law Firm offers representation and negotiation of short sales, as well as foreclosure defense, and title insurance. You may get better and faster results when your negotiator is well versed in the law, and able to discuss potential problems with the initial loan documents with the banks negotiator.